Ludowici – George V. Runyon, 72, passed away Saturday, December 1, 2018 at his home under the care of his family and Georgia Hospice Care. Born in Pikeville, KY, he had lived in Long County since 1985, moving from Ocala, FL. 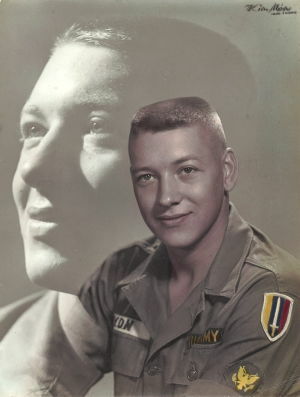 He retired from civil service at the Ft. Stewart Commissary and was a US Army veteran of the Vietnam War. He was a devoted and loving husband, father, and Grandfather and a member and former deacon of Rye Patch Baptist Church. He was preceded in death by his sisters, Melba Kathleen Brooks and Nancy Lee. Survivors are his wife of 50 years Marilyn Scott Runyon of Ludowici; daughters and son-in-law, Lisa McCallister and J.T. of Jesup and Christy Harrison of Ludowici; son and daughter-in-law, Joshua Runyon and Melissa of Ludowici; sisters and brothers-in-law, Artie Ann Young and Ralph of Citra, FL and Mary Karene Weddington and Donnie of Ocala, FL; grandchildren, Scott, Logan, Landon, Jacob, Hope, Abbigail, Ethan, and Addison; several nieces and nephews. Visitation will be Monday, December 3 from 5:30 - 7:30 PM at Howard Funeral Home. Funeral services will be held Tuesday, December 4 at 1 PM at the funeral home chapel with Rev. John Scott officiating. Burial with military honors will follow in the Georgia Veterans Memorial Cemetery in Glennville. Remembrances are suggested to Georgia Hospice Care, 141 S. Macon St., Jesup, GA 31545.